The Keylex 800 suits door thicknesses between 30mm and 45mm standard. Please advise all door thicknesses in excess of 45mm. The Keylex 800 suits minimum clear stile widths of 80mm when used with the standard latch bolt backset length of 60mm. The Keylex 800 has an optional on-board key override feature incorporating a ‘dimple’ key profile cylinder. 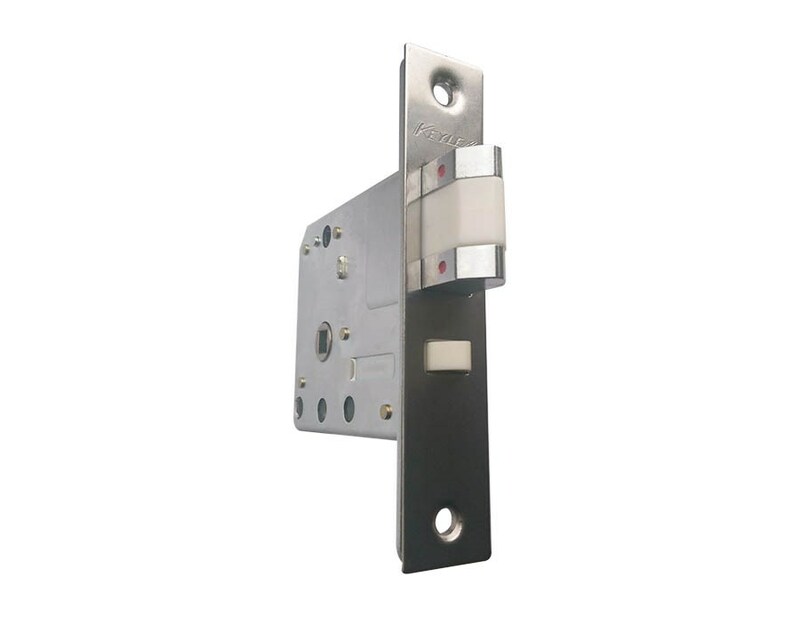 The large bow key (2 supplied normally per lock) will override any code and works directly on the internal mechanism to drive the spindle and retract the latch. Where multiple door control is desirable we offer a ‘keyed alike’ or ‘suited’ solution. Keyed alike systems are available from stock. However, master keyed systems are built to special order in the factory and extended lead times should be taken into account at the planning stage.